나트랑, 베트남의 안 호아 | 호스텔월드에서 예약하세요. An Hoa property is the perfect place for any traveller, whether they are backpackers, a young family or the more mature couple looking for a relaxing place to stay. The property location is very convenient. 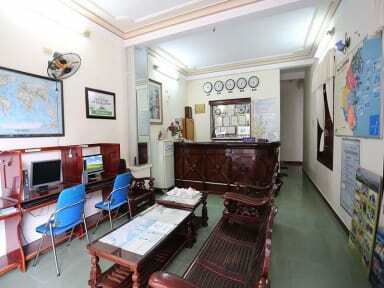 It is located near the main street (TRAN PHU street) close to the beach (about 100m) and in the city centre. 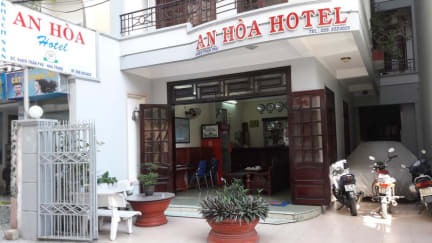 It's a very quiet and a lovely place for your stay here in Nha Trang. A lot of restaurants, bars, super markets are near. There are many clubs near the hotel and a night market, which is only 5 minutes to walk. Cham Tower (Ponarga Tower) is only 10 minutes by car away. Check-in time: 02:00 PM (early check-in available upon availability), Check-out time: 12:00 AM (late check-out upon availability). The double rooms have air-condition (and if you want only fans in rooms, it will be cheaper than air-conditioned room) with a queen size bed. They are equipped with sheets, pillows, blankets, telephone, TV, wardrobe, minibar, hot shower, window and a large balcony overlooking the city and sea. 4층인데 천장이 높은 편이라 계단으로 올라간다고 죽는줄 알았음. 화장실 변기 있는데가 넘 좁아서 앉으면 무릎이 벽에 닿아요..ㅠㅠ 매니져님 친절하시고 다이빙하라고 말만 길게 안 하셨음 참 좋았을것 같아요..